Safeguard has the experience you need to masterfully install a roof on your commercial project, using top of the line Firestone products and by-the-book safety protocol. You can rely on the global leader in rubber solutions to provide you with the most advanced EPDM technology for your next roofing project. Safeguard has fitted countless commercial and residential structures on Long Island with EPDM Rubber roofs. This allows for a job done right with a warranted product that is safe and effective. With billions of square meters installed globally – from the arid tropical climates of United Arab Emirates, to the trying Canadian north – Firestone’s RubberGard™ EPDM is the dependable rubber membrane for almost any waterproofing application. Why EPDM? The benefits are clear! RubberGard™ EPDM is available in large rolls. Up to 50′ (15.24m) x 200′ (60.96m) – that can be installed easily via several options, such as fully adhered, mechanically attached, or ballasted. No flames, electricity, or detailed machinery is required. A RubberGard™ EPDM roof requires little maintenance throughout its long service life. Combined with a competitive installation cost, EPDM roofing systems result in a very low-life cycle cost. RRubberGard™ EPDM does not rely on plasticizers for flexibility – there is no danger of the material becoming brittle from plasticizer loss. Elongates over 300% to accommodate building movements in climates worldwide. Proven performance in Canadian winters at -45C and in tropical climates at +45C. 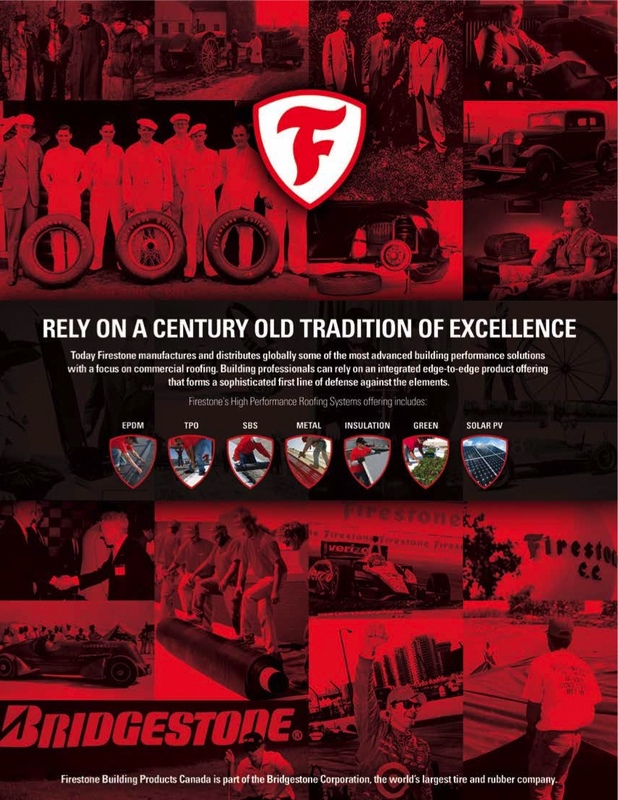 Firestone RubberGard™ EPDM is an inert material with limited environmental impact during manufacturing, installation, and use. The membrane is fully recyclable. READY TO GET SOME WORK DONE ON YOUR HOME?